The SlimView Group Lock Box is an easy to carry lockbox with transparent cover that can store up to 12 padlocks and can double as a safe key deposit. It supports companies to more efficiently organise Lockout/Tagout and to reduce workplace accidents. 15-20% of workplace accidents are still related to maintenance, according to Eurostat. The SlimView Group Lock Box has a slim design which makes it easy to store, carry and use. 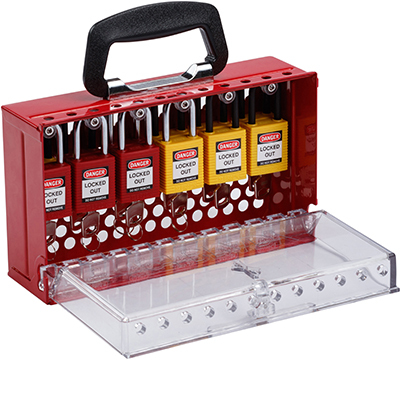 The lockbox can also be easily mounted on a wall or Lockout/Tagout shadowboard thanks to pre-cut mounting holes. And thanks to a transparent cover, a fast and efficient lock box contents check is possible at all times. The SlimView lockbox has padlock & key hangers built in, to offer convenient storage of up to 12 padlocks. 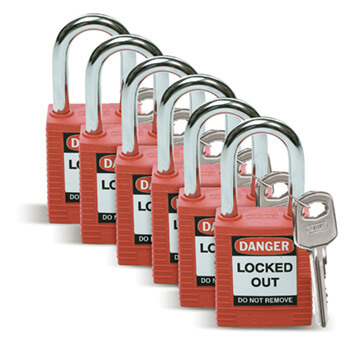 Brady can offer industrial grade, quality padlocks in a wide range of colours. Padlocks can be customised with engravings, labels and pictures. Before maintenance starts, the SlimView lockbox recessed door allows to apply up to 12 padlocks to lock keys inside. Its steel body and durable, polycarbonate door will keep keys secure during maintenance operations. 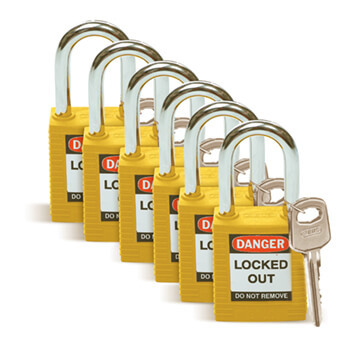 When it is time to re-energise machinery, maintenance workers can remove their padlock and access the keys inside to unlock the energy supply of the machinery they serviced. This can prevent all accidents related to re-energising machinery while maintenance is ongoing.